There's a reason why Beechmont Subaru is a premier new and used Subaru dealer for Cincinnati. It's because we provide quality automobiles at prices our customers can afford. Our knowledgeable staff will answer your questions, help you find the right new car, and can assist with auto financing. So if you're looking for a new or used Subaru model in Fairfield, OH, Florence, KY, or Dayton, OH, stop in to Beechmont Subaru and we'll get you into the car of your dreams! Have questions to ask first? Give us a call. We offer the full line of new 2018-2019 Subaru cars including the Impreza, Crosstrek, Outback, Legacy, and the Subaru WRX and Forester. Browse our new inventory page for the new Subaru in Cincinnati that fits your needs. If a new vehicle isn't what you want, we also have one of the largest used car inventory in the Cincinnati area. We are constantly taking in used cars for trade in and have used convertibles, sports cars, coupes, sedans, to SUVs, trucks and crossovers in stock regularly. Our staff will be glad to answer any question you have and take you out for a test drive. If you can't find the vehicle you have been searching for, take a second to complete our Car Finder form and our staff will track it down for you! Searching out a car loan in Cincinnati? Where ever you go, be sure to speak with our auto financial experts at Beechmont Subaru. We work with numerous lenders and strive to understand your financial needs, so whatever your situation we can create a Subaru lease or car loan that works for you. The Beechmont finance experts will work through every vehicle lease or car loan variable to ensure your loan will fit your lifestyle. The term can be extended to lower monthly payments, or you can pay a little more to shorten the duration of your loan. Call us or stop by to speak to a financial representative. To take your first step towards a car loan in Cincinnati, fill out and submit our auto finance application to see if you can be pre-approved. 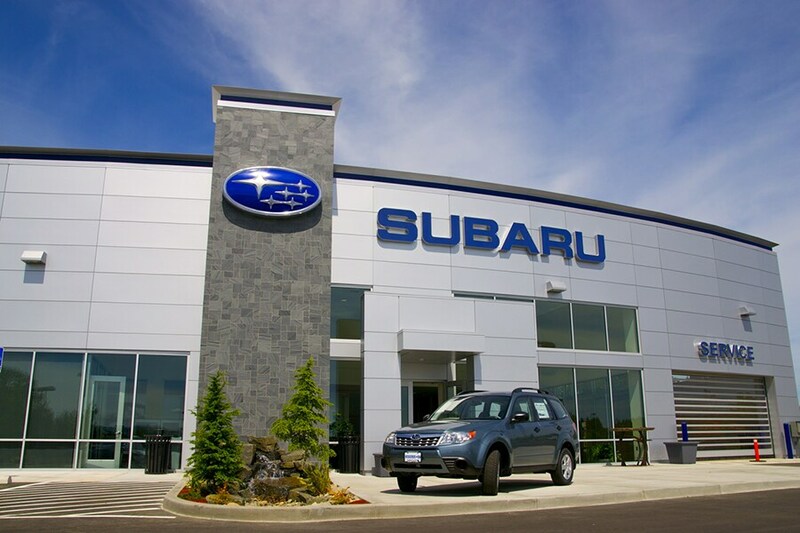 Professional Subaru auto repair is nearby to Cincinnati from trained mechanics you can trust at Beechmont Subaru. Let our technicians diagnose your car the first time with our expert service and repair your car quickly with an extensive Subaru auto parts department to get you back on the road quickly. Easily schedule auto repair or Subaru service in Cincinnati by using our online service appointment form. To learn more about Beechmont Subaru and the extensive new Subaru models, used cars, parts and services we offer drivers Greater Cincinnati, please contact us today. Or, drop in on your way by. Located at 8021 Beechmont Ave Cincinnati, Ohio, we're easy to find.